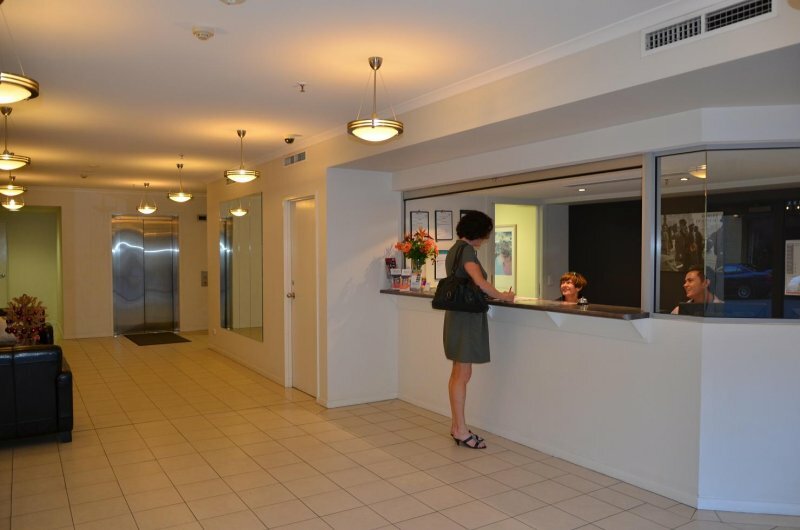 Perhaps Frisco Apartments' greatest asset is its location, offering quality hotel accommodation in Brisbane CBD near Queen Street Mall, near Chinatown, trendy Spring Hill and the Brisbane River. Also, near Wickham Terrace and major hospitals in Spring Hill. A quick 20-minute taxi ride from Brisbane Airport or a 5-minute walk from Central Rail Station and 15-minutes from Roma Street Station. A 12-minute walk to the RNA or Ekka Showgrounds. Also near several hospitals including the Brisbane Dental Hospital, Brisbane Dental College, Royal Children's Hospital, the Holy Spirit Hospital, the Mater Private Hospital and Pricess Alexandra Hospital (the PA Brisbane). 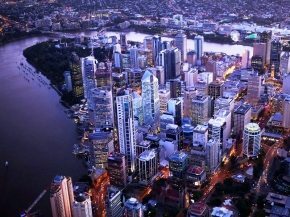 Also near the Royal Brisbane Hospital & Women's Hospital, near Brisbane Private Hospital and near the Queensland Eye Hospital. St Andrew's Hospital at the top of Wickham Terrace, in Spring Hill is a 5-minute Taxi ride away. 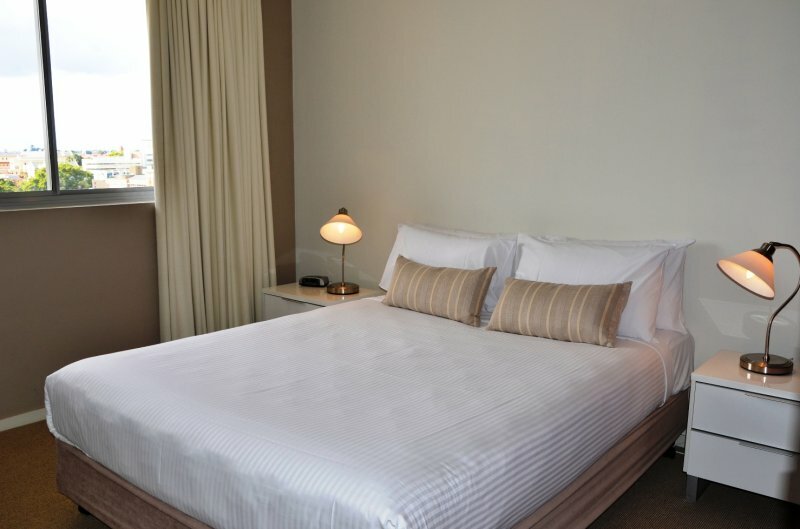 If you're looking for Brisbane hotel accommodation near the airport but also near the city and the shops, with free car parking as well, then look no further. 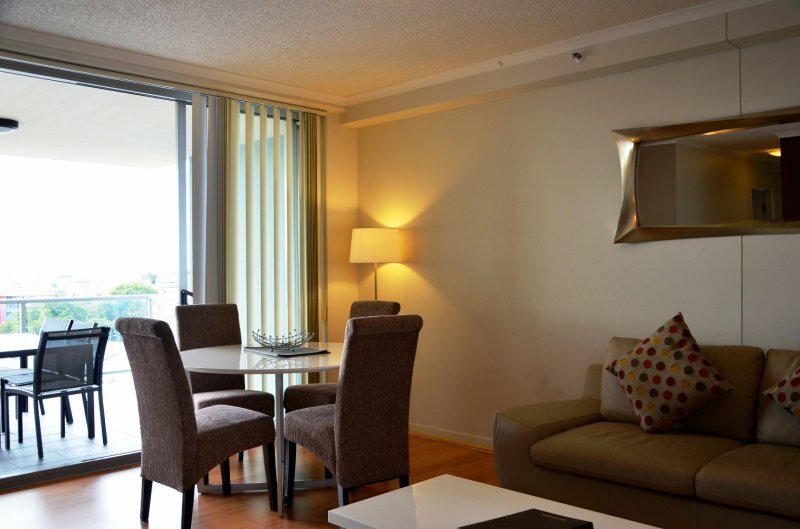 Frisco Apartments is easily accessible from either Turbot Street (one-way travelling North East toward the airport) and left into Bowen Street or via St Paul’s Terrace and Boundary Street if travelling from the airport. 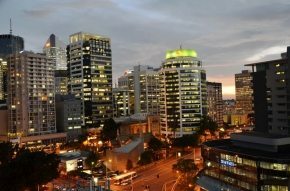 Sofitel Brisbane Hotel and Brisbane Marriott Hotel: Looking for serviced apartments near Brisbane Sofitel Hotel and Conference Centre or the Novotel Hotel? 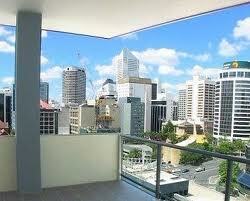 Frisco Apartments is located 300 meters, a 5-minute walk, from both these major 5-star Brisbane accommodation hotels. 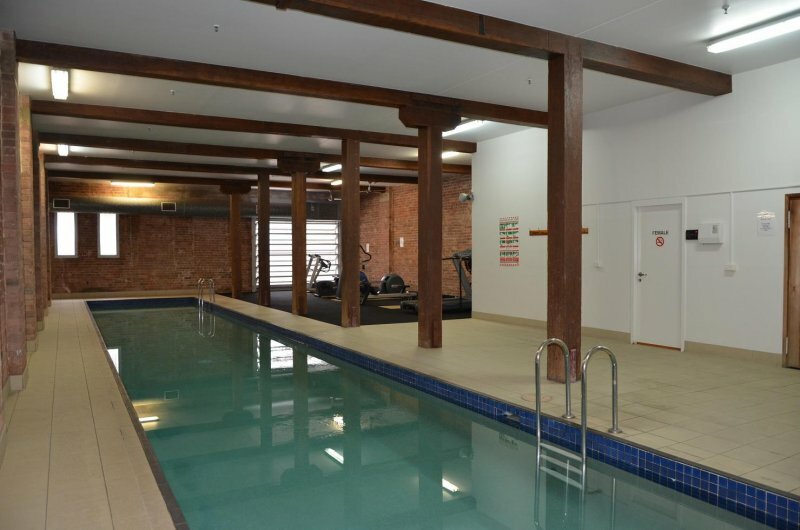 Frisco Apartments in Bowen Street is a great option if you're looking for less expensive but good quality hotel accommodation near the Sofitel Hotel Brisbane, Novotel or the Marriott Hotel Brisbane. Also within a 5-minute walk from Frisco Apartments are the Oaks Aurora, Oaks Lexicon, Meriton Soleil Apartments and the Brisbane Medina Apartments. 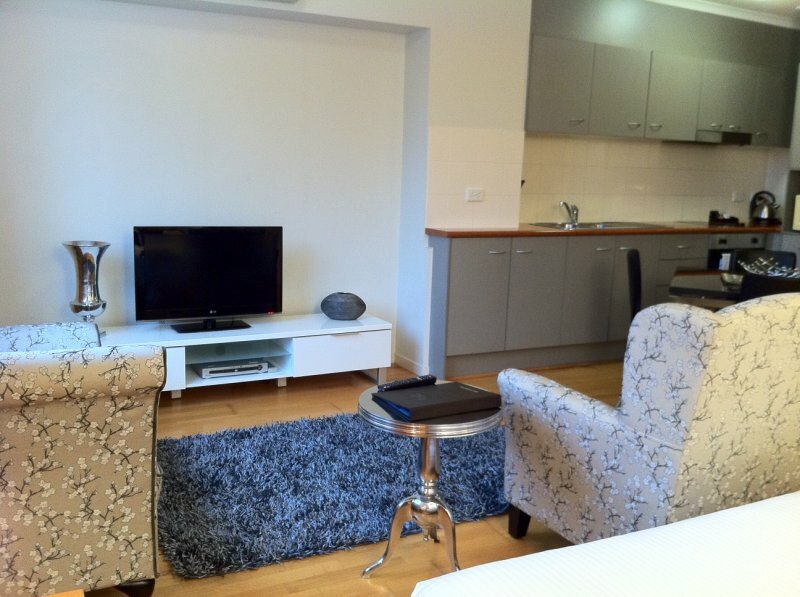 Brisbane offices of the Australia Federal Police - the AFP: Looking for serviced apartment accommodation near their office in 203 Wharf Street, Spring Hill QLD 4000? Frisco Apartments is virtually next door. 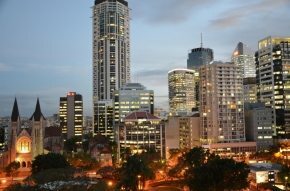 Moving or relocating to Brisbane Australia and need accommodation? Whether moving to Brisbane from Sydney, New Zealand, an expat returning from the UK or anywhere else overseas for that matter, you'll appreciate our special Relocation Package which includes accommodation in a fully furnished Studio, 1 or 2-bedroom apartment that is serviced with fresh linen and cleaned each week; unlimited wireless Broadband Internet access - great for keeping in touch with your family and even a secure dedicated car park if needed. Being so central it's a great spot to stay while you look around and decide. 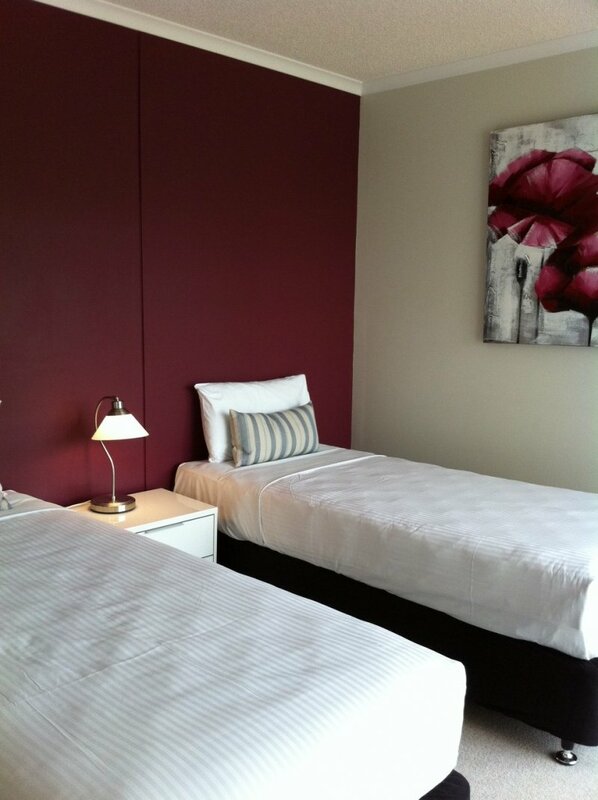 Portside Wharf Cruise Ship terminal, Hamilton: If you need CBD hotel accommodation near Brisbane's cruise ship terminal at Portside Wharf in Hamilton: this is it. Especially if you also want to walk around the CBD. Portside Wharf is a quick 10-minute Taxi ride from Frisco Apartments, straight up Wickham Street through Chinatown and the Valley. The chic Portside Wharf has several upmarket restaurants and shops where passengers can spend a few hours browsing and then watch their ship come in! This precinct is not just an international cruise ship terminal sitting 10mins from the CBD, but also a great welcome port with world-class restaurants, gourmet delights, a cinema and designer digs. 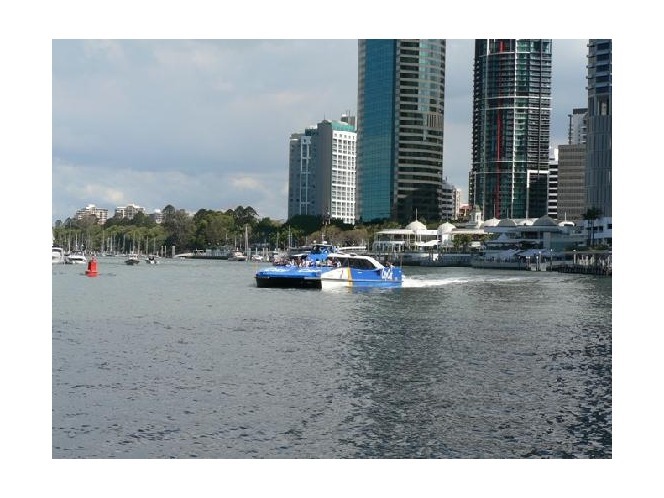 RNA Showgrounds or Royal Exhibition grounds: Brisbane hotel accommodation near the RNA Showgrounds or the Royal Exhibition grounds? Frisco Apartments is perfect accommodation for exhibitors, EKKA show-goers and even for wedding guests. 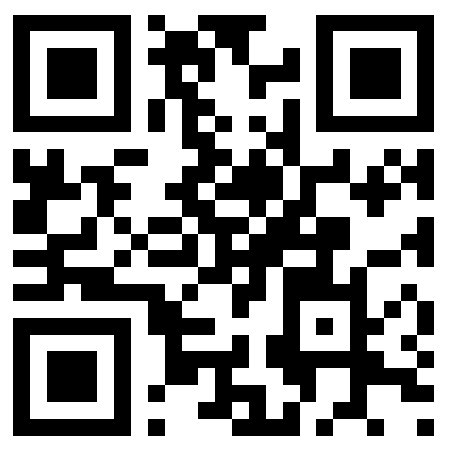 Ask us about our discounted group rates. The RNA Showgrounds has 22 versatile venues, situated on 22 hectares of land, adjacent to Brisbane's Central Business District. The Royal Queensland Show, or the 'Ekka' as it's known by Queenslanders, is held at the Showgrounds over ten days every August. However, the Showgrounds are available to host a range of special events including conferences, functions, wedding receptions, conventions, exhibitions, trade shows and product launches, outside of Show time. From the outdoor serenity and beauty of the Stockman’s Rest to the historic Governor’s Pavilion (perfect for an elegant cocktail reception or classy intimate wedding), to the grandness of the Auditorium - the RNA Showgrounds is adaptable and functional. Steve Irwin "The Crocodile Hunter's" Australia Zoo, Qld: Australia Zoo is a team of passionate conservationists working around-the-clock to deliver an animal experience like no other. Cuddle a koala, hand-feed an Asian Elephant, walk with a Sumatran Tiger and watch a crocodile launch from the waters edge. Australia Zoo is the ultimate wildlife adventure delivering conservation through exciting education. Croc Connections bus service will not be available from 7-21 December, 25 December, 31 December or 1 January. Departing Brisbane daily at 9:00 am (pick up from all the major hotels) and arriving at Australia Zoo by approximately 10.15am, CC’s Croc Connections offers a friendly, personal bus service to kick-start your day at the Zoo. Along the way you can learn about the history of Australia Zoo and the Irwin family while relaxing in air-conditioned comfort. The bus will depart the Zoo at 4.10pm. 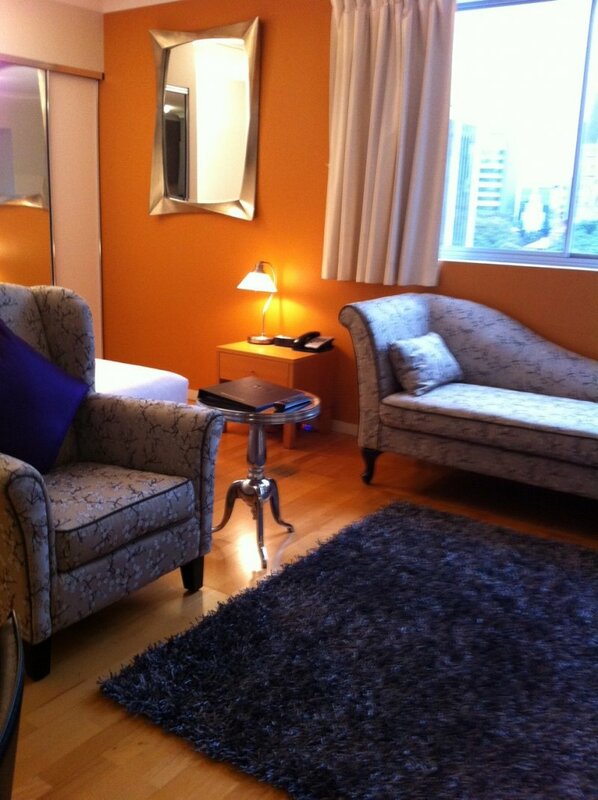 Brisbane Customs House accommodation for a wedding: Looking for Brisbane hotel accommodation for a wedding at the RNA Showgrounds or at Brisbane's Customs House? 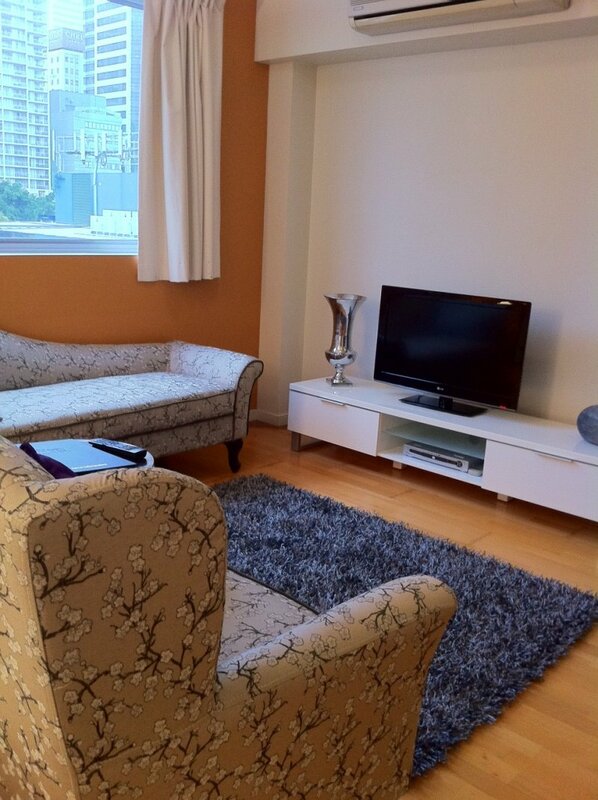 Frisco Apartments is 300 meters, a short few minutes walk, to Brisbane Customs House at 399 Queen Street. 410 Ann Street Brisbane: Looking for Brisbane hotel accommodation that offers Australian Defence Force personnel very special rates? The Defence Force Recruitment Office is literally across Turbot Street to Frisco Apartments. Adelaide Street Brisbane: Looking for hotel accommodation near Flight Centre Brisbane? It's just around the corner from Frisco Apartments. Also in Adelaide Street is the Brisbane City Hall, ANZAC Square and Post Office Square. Gold Coast theme park accommodation: Looking for hotel and serviced apartments accommodation near Dreamworld and the Gold Coast theme parks? Frisco Apartments is less than a 45 minute drive along the Pacific Motorway (M1) to Dreamworld, Movieworld, Wet 'n' Wild and the Australian Outback Spectacular. Stay in one of Brisbane's most popular serviced apartments and you have the option of visiting both the Gold Coast and the Sunshine Coast! Self-drive or choose from a dozen day tour options, including Steve Irwin's Australia Zoo on the Sunshine Coast. Brisbane Story Bridge Adventure Climb: A unique adventure experience that's ideal for all levels of fitness and ages. (Minimum 10 years old). You'll be rewarded with the breath-taking panorama of Brisbane and its surrounds. During the bridge climb you will hear interesting and factual commentary on Brisbane, including history and heritage information of both the city and the bridge. BY CAR FROM THE PACIFIC MOTORWAY OR SOUTHEAST FREEWAY: Take the Turbot Street turn off. Drive up Turbot Street, which is a one-way street, in the middle lane. Drive past the Sofitel Hotel on the right, past Wickham Terrace, cross Wharf Street and 100 meters past Wharf Street turn left into Bowen Street and then you will find Frisco Apartments’ Visitor Parking on the left. FROM BRISBANE AIRPORT: A 15kms (approx. $45) Taxi ride will take approx. 25 minutes. Or, $16 per person by AirTrain from the airport to Central Railway Station - an approx 20 minute ride. Coachtrans offer a shuttle bus service for $20+ per person and this will take up to an hour. If further directions are required then please call Frisco Apartments on (07) 3839 7511 or email: res@friscoapartments.com.au during business hours for an immediate response.